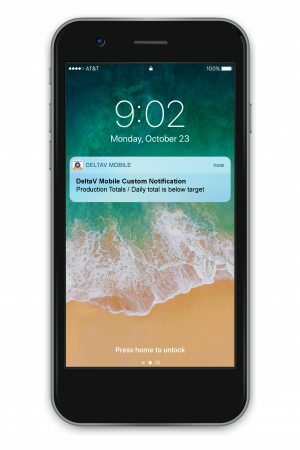 Emerson has enhanced its DeltaV Mobile app to ensure plant personnel have faster access to process information and to help organizations tailor the notifications personnel receive. DeltaV Mobile — a mobile app that provides read-only access to a plant’s distributed control system and operation data — now offers improved customization and access to third-party systems in one app. DeltaV Mobile users will be able to more quickly respond to important process information and changes including held batches, production bottlenecks and potential safety issues. Custom notifications provide personnel across the organization fast access to essential information including batch status, safety instrumented systems bypasses, key performance indicators or any other process parameter they want to monitor. These notifications are customized to individuals, ensuring personnel such as process engineers and supervisors are notified on-demand of information relevant to their job, but do not create additional control system nuisance alarms or notifications that add unnecessary distractions for control room operators and other personnel. For more information, please visit Emerson.com/DeltaVMobile.